Today's post is a modified version of a post I originally published on Touchpoint Dashboard's blog on March 9, 2015. 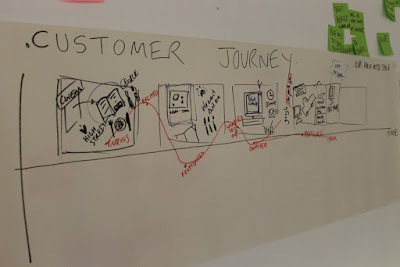 Creating a customer journey map is an important first step when it comes to your customer experience transformation. Notice the word that I used a couple times in that sentence: "customer." So, it's no surprise, then, that the most important thing to do when mapping the customer journey is to do it from the customer's viewpoint, right? And yet so many companies create an assumptive map and then leave it at that. An assumptive map, by the way, is a map that we build with internal stakeholders and is based on what we assume to be the steps customers go through to achieve some task with the organization. This is fine to do, but we must then take that map and bring the customer perspective into it. 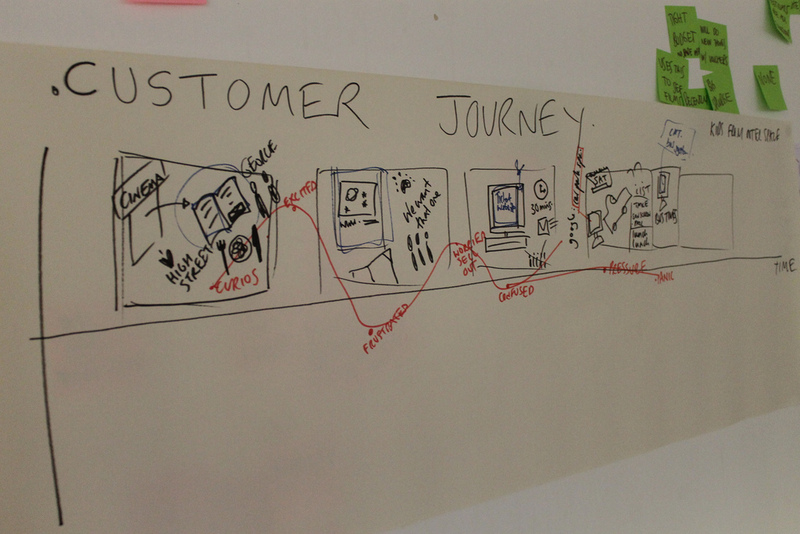 We think we know the steps, but customers are best equipped to tell us their journeys. Often, the most important parts of the journey happen between the touchpoints, and customers are the ones who can and need to tell us about those parts. We also need to make sure we capture what the customer is thinking and feeling, and he is the only one that can tell us that. What he’s thinking and feeling are important to identifying those key moments of truth, those make or break points on the journey. The map is a catalyst for your CX transformation – and identifying those points is critical to doing that. Make sure that you create that assumptive map from the customer's viewpoint to begin with. How? Here's a tip to get your team thinking in the customer’s voice: plot the steps using what I call "I phrases," i.e., I entered my username and password to log into my account; I clicked the link to pay my bill; I then selected the dollar amount of my payment, etc. Then validate the map with customers, using both quantitative and qualitative research. Through validation, we confirm that these are the customers’ steps. Next, bring the maps to life by infusing the voice of the customer. Bring customer data and feedback into the touchpoints to really accentuate the pain, effort, or highlights of the touchpoint. You can even add metrics, e.g., customer effort score, to a touchpoint, which is my fourth point. The most important rule of journey mapping: it's critical to create maps from the customer's viewpoint and to bring in the customer voice. How many of these are you utilizing as you create your maps? Love how you have given the audience some real context for doing customer mapping with the "customer" at the centre. I think moving from inside out to outside in and involving the customer in this mapping will only improve its validity. Thanks so much. Glad you found it useful and actionable. I think that is a really valid point about perspectives and our inherent belief that we always understand others when we the sad truth is that fundamentally we do not. It applies to all sorts of relationships, not just customer / supplier. There is nothing quite as powerful as asking somebody what they think then shutting up and listening to the answer. I can add nothing more of value to that. Well said. I wonder how many organisations don't as you suggest 'validate the map with customers'? In my experience, more than you would care to think. Sadly, most do not.